In a truly absorbing affair at the Kalinga Stadium, England rode on the dynamic skills of their attackers to knockout reigning Olympic Champions Argentina and book a place in the semifinals of the 2018 Hockey World Cup. 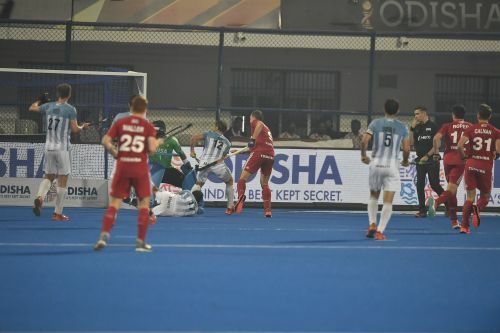 After a goalless opening quarter, the action became intense when Gonzalo Peillat's drag-flick pulled Argentina ahead in the 17th minute. However, Barry Middleton equalised with a spectacular strike in the 27th minute. Right at the end of the third quarter, Middleton created a terrific opportunity for Will Calnan who duly propelled England into the lead. Peillat levelled the scores by converting a penalty corner in the 48th minute. A minute later, Harry Martin scored the decisive goal of the match and helped his team stave off the Argentinians. Here are the three standout players from England's thrilling 3-2 victory over Argentina in the first quarterfinal clash. 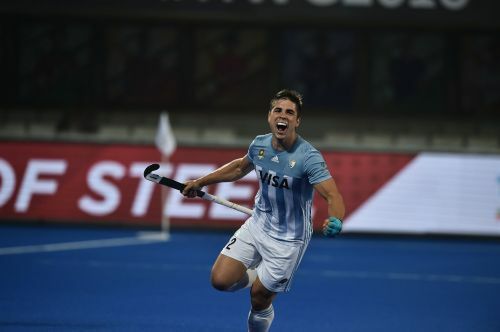 Arriving into this match on the back of four goals in the group stages, Gonzalo Peillat reiterated his drag-flicking prowess by converting two of his three penalty corner opportunities into crucial goals. The one that got away was a mistrap emanating from a poor ball in. At the start of the second quarter, Argentina's sudden spurt of energy resulted in a penalty corner. Although George Pinner read the trajectory quite well, such was the pace of Peillat's booming drag-flick that the ball settled into the back of the net after crashing into his gloves. When Argentina desperately needed to convert, Peillat capitalised on a rare penalty corner and levelled the scores in the 48th minute. The accuracy and timing of his straight-arrow allowed the ball to slip underneath the low diving Pinner. Aside from extending his tournament tally to six goals and moving past Blake Govers to the top spot, Peillat also continued to impress with a solid effort in the Argentinian back-line. Considering the persistent pressure applied by the England attackers, the 26-year-old's clearance-rate was remarkable.